GuardPoint Pro is our powerful yet user friendly online access control and alarm monitoring platform. GuardPoint Pro is packed with sophisticated features that fits perfectly within the strict requirements of high security sites. The GuardPoint Pro Solution is suitable for a variety of different sized installations. The software can accommodate large sites consisting of hundreds of thousands of cardholders. For small installations a special version called GuardPoint-Entry is available, which is given free of charge. GuardPointPro has many additional software features which can be added has a variety to create a powerful Integrated security platform. Video plus is a smooth user friendly interface for security monitoring which combines CCTV and access control into one platform. This module is ideal for security room applications where monitoring is key. Two views are available within the Video+ module the first is for alarms and the second for access events. Both of these link the events to live and recorded footage from the IP cameras on site. There are many benefits of having a graphical representation of your security system. The graphics module gives you a clear visual live representation of the buildings status. 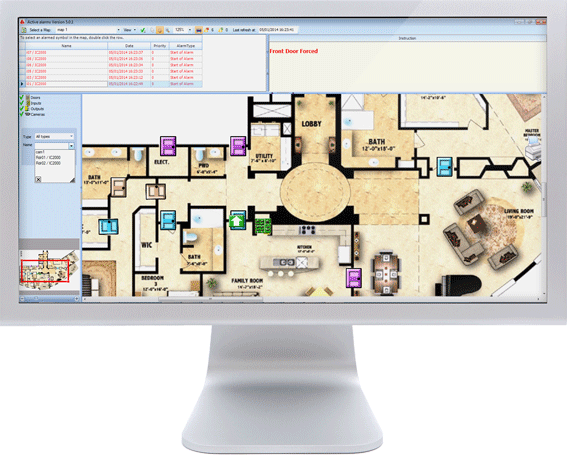 Icons are placed on your site map to typically represent doors, alarm inputs and relay outputs. Many additional Icons are available to represent cameras, shortcuts and custom user defined special functions. The graphics + module has its own special tool to allow you to create your own custom icons to include in the provided library of graphical symbols. Your access control system is already clocking the time and date of your employees so why not use this to calculate there hours worked? - Calculate total hours worked according to readers selected. - Definition of personal contracts, i.e. shift patterns, overtime and short time. - Fixed or flexible working hours. - Calculate time accumulated on a specific job (i.e. training, project-related) or location (meeting room or library). - Export the report as an external file in different formats. 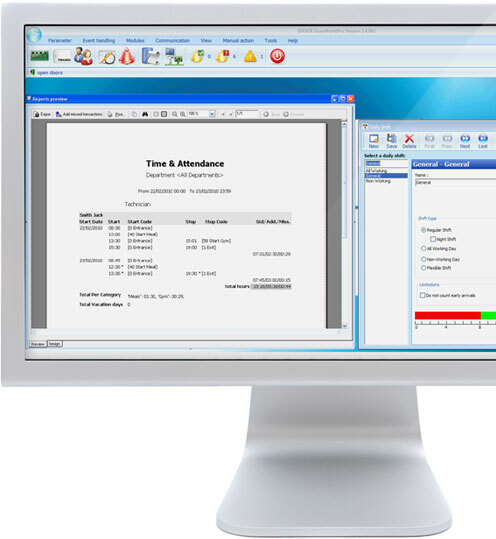 The T&A + module is ideal for companies that require some Time and Attendance information without the cost of a dedicated T & A system. This web interface module allows you to connect and control GuardPoint Pro from any PC via a web browser. 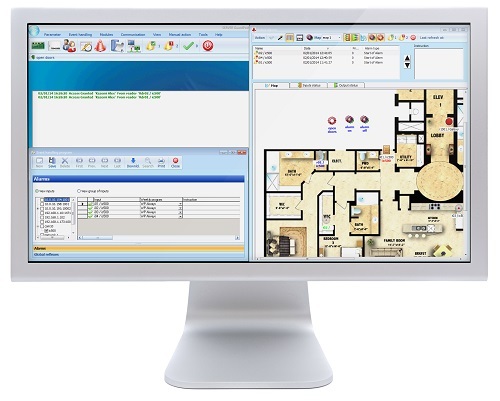 This module is Ideal for a facility manager to make quick and simple operations from multiple locations. You can control the access control platform from many different devices as a web page is not operating system dependent. The web module needs to be hosted by yourself which gives you complete control over securing your cardholder data. The alarm control module is a special module which gives you the power to create automated responses unique to your site requirements. Any site transaction events such as a start of an alarm or a access granted can be linked to a wide variety of actions within GuardPoint Pro. - Customization of alarm acknowledgement instructions and alarm priority levels. - Execution of crisis levels allowing the system to perform different type of lock down on alarm activation. - Email alerts upon events. - Live camera and cardholder photo pop up for visual verification. - Automatic system back up. - Automated report generation including fire roll call. The parking control module allows a simple capacity control for your car park. It ensures important members of staff and visitors will always have a parking space. Once the set capacity is reached the access control system can deny access and send a signal to a display panel to notify people the car park is full. 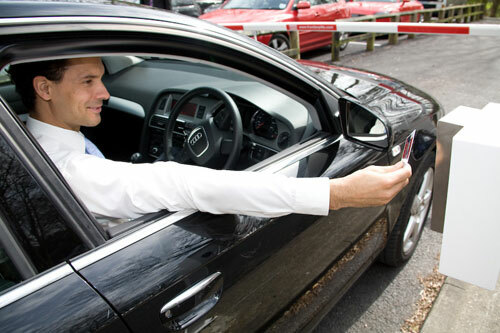 The car parking module is ideally coupled with our long range reading solutions as this allows the barrier to open automatically when your car approaches. 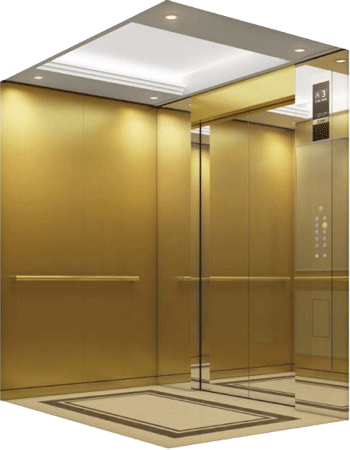 The lift module allows you to restrict which floors a cardholder can access from the lift. The cardholder enters the lift and places his credential on a reader within the lift cab. The cardholders permissions would dictate which floor buttons can be pressed. Lift destination control is especially useful for buildings containing multiple tenants. The multi-site module is ideal for applications where access at many sites need to be managed centrally. For example this module is highly useful for organisations with several independent branches that wish to let local branches view and control only their own sites, while still retaining the ability for overall management to be done from the site headquarters. The Multi-Site module allows all the records in the database (controllers, readers, cardholders, etc.) To be divided into the different sites. Each user of GuardPointPro can be authorised to view/modify one or more sites. The multi-site module is designed to be used with the Microsoft SQL platform which adds many benefits to system redundancy. The Different type of system architecture are as follows. 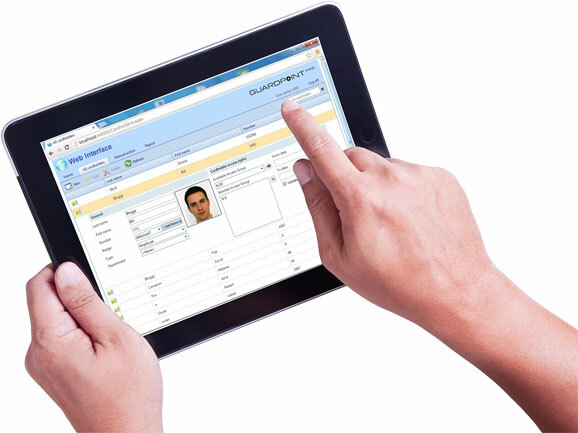 GuardPointPro comes free with a demonstration license.